Yum Yum Sauce is a) the best name ever, and b) what is often served at Japanese hibachi restaurants, and also, as I found out last weekend, at fun hipster restaurants with ethnic fusion food. How amazing is it that the GIVEN NAME of this sauce is Yum Yum Sauce? I did not make that up, friends. Yum Yum Sauce. It’s like it just waiting for me to find it. I’m acting calm but this is what I’m really feeling !!!!!!!!! Is this not the best news ever? Is summer not just the most happy, soul-satisfying, amazing time of year? Are we not going to have so much fun and eat so much good food and feel so great about life over the next few months? 100% chance that I’m going to push the limits of blogger obnoxiousness with my optimism for this season and I’m not even sorry one bit. I am a die-hard creature of the summertime. Sun and warm weather and green things and water and boats and sunglasses and umbrella drinks – this is heart song of my Summer People. Where you guys at? Thing #392 That I Love About Summer: food is so easy. Right here and now, I vow to you that I will continue posting new recipes through the summer. But guys, I also vow that I will never will I pretend like I’m making things that are more fancy than what I’m actually making for my real life to eat. We eat a lot of VE-RY-BA-SIC things in the summer, you know? Think tomatoes, basil, mozz, olive oil, salt. Think grilled chicken. Think hot dogs (not above it) and brats and burgers, which reminds me -> I just saw this viral-y type Facebook video for a bacon wrapped cheese stuffed burger with onion rings and I showed it to Bjork at breakfast this morning and look out blog world because that is going to be happening on our grill ASAP. Maybe by lunchtime. Because it’s summer! Party on. The best meals can come together in 3 seconds flat. Today is no exception. I am going super minimal on this post because it’s actually a lead in to a more comprehensive recipe post involving a Korean BBQ beef short rib rice bowl situation (no but I’m serious tho) so in order to have this sauce at the ready, I thought I’d list it as its own post. Even if you never came back and found the Korean BBQ beef short rib rice bowl recipe in a week or two, you could still use this Yum Yum Sauce on anything and everything you’re eating this summer. Last night’s dinner, for example: spicy grilled chicken with absolutely no reservations whatsoever on spices and seasonings tucked into a bed of cabbage slaw with chimichurri served with half an avocado and dipped in THIS MAGIC. Honestly even just skip the rest of it if you want. Grilled chicken, this sauce. BOOM. Dinner is done. Please, I urge you, stop reading right now and get outside. Grill something. Pick something fresh from your garden. Or your neighbor’s garden. Or the grocery store’s garden. 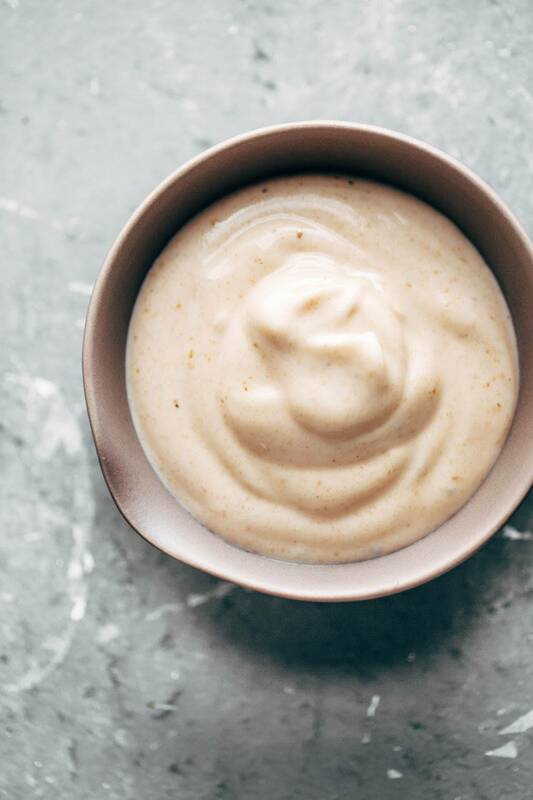 Whip up this sauce in 5 minutes flat and then go eat all the things with it and summerrrrrrr the night away. Yum Yum Sauce! just like the sauce from Japanese hibachi restaurants – and it’s SO EASY. Perfect with grilled chicken, steak, veggies, rice bowls, wraps, and more. Whisk all ingredients together until smooth. That’s it. You’re done. Rock on. I like to leave the water for last so I can control the thickness (sometimes I want it to be more runny to drizzle on things, and sometimes I want it more thick for more of a dip). For the spice mix, I usually just have something on hand that is a generic grill seasoning or chicken seasoning or something and that works just fine. If you don’t have a mix on hand, start with a little garlic powder and then add paprika or cayenne to taste. I remember in high school my friends and I came up with a sauce like this to eat with pizza. I’ll say this- it made school lunch a WHOLE lot better. lol! I believe it! 🙂 hahaha! Ummm best name for a sauce EVER. Love it! What about subbing yogurt for the mayo? personally, I wouldn’t. If you don’t like mayo then you might want a different sauce altogether. This one really needs the mellow buttery flavor of the mayo vs. the tang of yogurt! Yeah it will completely change the flavor. Hellmans mayo is best. I wouldn’t use non fat or low calorie either or any flavored. Those also change the taste. You can absolutely use some yogurt. Specifically 2% Fage. I made this tonight with 3/4 cup Fage and 1/4 cup Hellman’s mayo and it was DELICIOUS. And I LOVE mayo. I can taste the difference between Hellman’s and other brands in restaurants, and I am not at all afraid to use straight mayo when it’s the best option. But I have found this base (1:3 ratio Hellman’s to Fage) works SO WELL in so many places that people insist on straight mayo. (I do the same base for the white sauce that is served with Halal/Shwarma chicken and yellow rice at the street carts.). it’s very possible. hope you like it! Yes! Sometimes it is…unless you get the ginger dressing. But yum yum is delicious on literally EVERYTHING! Try it on your fried rice. It’s mind blowing!! De ja vous all over again! I have this little Pinterest board called “Pinch of Yum Yum! hahahaha too perfect! Thanks Lodi! I did think you made that name up 🙂 I thought to myself, she’s so internet famous, it doesn’t matter what she calls her recipes. People will love it regardless 🙂 And YES to summer making me feel alive and happy and wonderful and being overly optimistic about it!! Bring it on! This looks great. Can you be more specific about “all-purpose spice mix (garlic powder, paprika, etc. )” with either a recipe for it, or name a prepared (nationally found) spice mix? It seems like what’s in the one teaspoon of spice/seasoning would really matter when it’s added to about one cup of sauce. Looking forward to the Masala Sauce, as well. Hi! Yes – here’s the exact spice mix I used. http://www.target.com/p/chicken-grilling-spice-2-75-oz-market-pantry/-/A-14779241 If you do not have this or anything similar, just use about 1/2 teaspoon garlic powder, and if you want, add 1/4 teaspoon of a warm, spicy one like paprika or cayenne for more kick. I hope this is similar to the sauce on the yum-yum bowl at WSK? ! wow! your beautiful sauce pictures blow me away! Can I use honey in this recipe? yes! different flavor but still yummy! Yum Yum Sauce?! Yes, that is the best name ever! 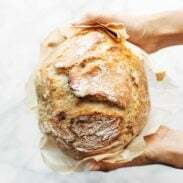 I’m excited to try this recipe out! Yum, Yum sauce it is! I’m so looking forward to Summer, and all of its glory! Hey Lindsay! Thanking you for sharing this amazing recipe..Looks delicious.. I am the girl at the Japanese restaurant that says “two yum yum sauce please” and then ask for refills when they come back around 0_0 ^not weird at all. Won’t deny it – definitely do the same.???? Can I just say – that I would just plop down and live in your blog if I could? 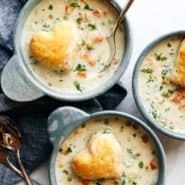 Every recipe I see I think THIS is the best thing EVER I need to make this right now! Yumyum sauce is no exception. Thanks, Tami! 🙂 Hope you enjoy it! For someone that despises mayo, thoughts on using sour cream or plain greek yogurt as a substitute? Hi Jennifer! Unfortunately since this is mayo-based, there isn’t a great substitute. The sour cream and greek yogurt may be a little too tangy for it. I’d like to make this ahead of time. How long is this good in the fridge for? Can you freeze it? Thanks!! We wouldn’t recommend freezing it because of the mayo, but can stay in the fridge for about 5 days! I mad this but instead of tomato paste used sweet and spicy pepper paste and it came out well. I made with sweet and spicy pepper paste instead of tomato paste and I love it!! Just at our local hibachi place this past weekend and realized that their yum yum sauce was mayo based. 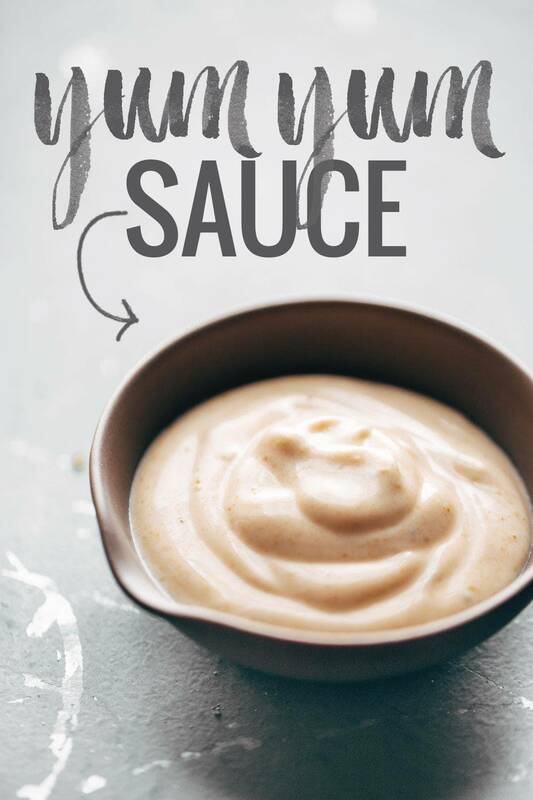 Then online to research if I could recreate this sauce I have just learned that its not just my place that calls it yum yum sauce, but it is nationwide. So now for my two cents. To the person that hates mayo so wants to substitute, I say give this a try first. I’m by no means a mayo lover but I drown my fried rice in yum yum sauce. Second, all was going well until I added my spice mix, which was Italian seasoning because I just grabbed the easiest thing out of my pantry. Now I have more a less a salad dressing, not yum yum sauce. Will still eat it, but next time when it comes time for the spice mix, I’m going to keep it very simple and probably just do a chili garlic sauce . Just made this ! It’s awesome!! I’m scared to tweak it, in fear of messing it up. What can I add to cut the mayo taste by just a tiny bit? More garlic powder? I’ve always loved yum yum sauce. You know what makes this even better??? Letting it sit for 48 hours in the fridge for all the ingredients to really sink in and then taking it out to get to room temperature. I also found Himalayan pink sea salt gives it an even better flavor if you are fond of sea salt. There are inky two recipes for yum yum sauce I have liked that I’ve found over the last 3 to 4 years. This is one of them. I do like how it can be used instantly with the flavor but it definitely makes a difference when it sits a couple days. WOW! I just had to say…I “cleaned” the spoon before placing in the sink. This sauce is amazing! So happy I tried it. I love your recipes and I’m making this with the Korean BBQ beef tonight-yay! Have you tried this without the butter? I’d like to keep it DF if possible.